I wish to begin by congratulating you and the Government of Lebanon on assuming the Presidency of the Council for the month of September. I also thank my good friend Special Representative Staffan De Mistura for his briefing, and presentation of the Secretary Generalâ€™s report on Afghanistan. 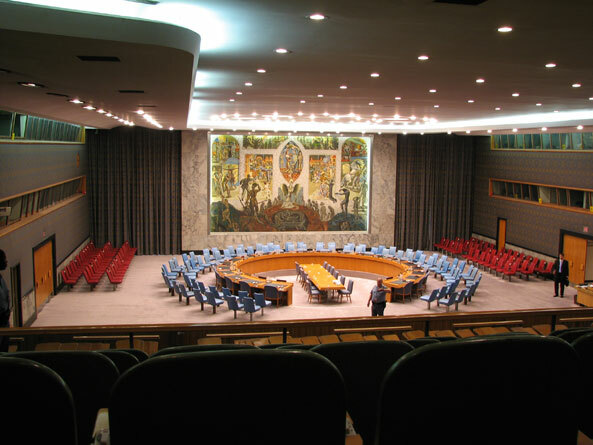 I am pleased to have the opportunity to address this Council once again.Â Todayâ€™s meeting takes place against the backdrop of yet another recent tragedy in Afghanistan. A little over a week ago, the enemies of peace in Afghanistan martyred the Chairman of the High Peace Council (HPC), and former Afghan President, Professor Burhanuddin Rabbani. Professor Rabbani will be remembered for his distinguished service for the cause of peace in Afghanistan.Â But I want to assure the Council that, despite this national loss, our reconciliation process will continue. On behalf of the Afghan people and Government, I convey gratitude and appreciation for the outpouring of condolences and support received from around the world. This year is of particular importance to Afghanistan. 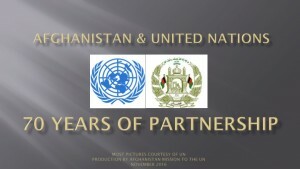 Firstly, it marks ten years since the end of the rule of the Taliban, culminating in the opening of a new chapter in our modern history; defined by a concerted effort to achieve what has eluded us Afghans for far too long:Â peace, stability and prosperity.Â Over the past decade, we have come a long way in our joint efforts, and have much to show for our progress: in building our state-institutions, in ensuring our people with essential services; in enabling democracy to take root; and in up-holding fundamental rights of all our citizens. In addition to solid Afghan national resolve, the success of the transition process also depends on the continued support of the international community, most importantly in building the capacity of our national security institutions. Alongside transition of security responsibilities, we are focused on doing what is necessary to implement the economic pillar of the transition process. This will be a more difficult task, requiring more time, and the sustained and long-term engagement of our international partners during and after the transition process. In this regard, we are determined to maximize the potential offered by our natural resources to strengthen our economy. Furthermore, we have prioritized attracting foreign investments, and building our infrastructure. Such efforts will enable us to play our key role in broadening, deepening and strengthening regional economic integration, by reviving our historic place as the land-bridge between Central Asia, South Asia and the Middle East. In that connection, we are pleased that the New Silk Road initiative has gained momentum; and we welcome the constructive discussion of last weekâ€™s ministerial meeting here in New York, which we co-chaired with Germany and the United States. Despite our efforts to stabilize our country, Afghans still suffer from an endless campaign of terror carried out by Afghanistanâ€™s enemies. Over the past months, terrorists launched sophisticated attacks, including the raid on the Inter-Continental Hotel; the attacks on the NATO compound and US Embassy in Kabul; and a chain of targeted assassinations of a number of Afghanistanâ€™s prominent and high-profile national figures. The continued spate of attacks, which originate from terrorist sanctuaries and safe-havens beyond our borders, has generated an unprecedented level of anger and frustration among a wide-spectrum of Afghan society. Mr. President, let me underline, once again, our repeated call for a definitive end to these sanctuaries that are not only harming Afghans, but also destabilizing the region as a whole. To help end the conflict, and meet the demands and aspirations of the Afghan people for a durable, dignified and inclusive peace, we will work to bring back to social, economic and political life all members of the armed opposition willing to renounce violence, sever ties with terrorist groups, and accept our constitution, including respect for human rights, womenâ€™s rights in particular.Â Despite the assassination of Professor Rabbani, which intended to disrupt the peace process, the High Peace Council (HPC) will continue its mandate for peace and reconciliation. For reconciliation to succeed, we must have the support of regional and international partners. 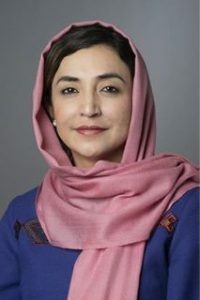 And I highlight, in this connection, the importance of a result-oriented role by the Islamic Republic of Pakistan. At the same time, we wish to remind the Council that we are committed to defeating those bent on the destruction and destabilization of our country at all cost. We have an important political calendar ahead of us. We look forward to the Istanbul and Bonn conferences, scheduled for November and December of this year. In Istanbul, together with countries making up the Heart of Asia, and other international partners, we will focus on defining a new vision for regional peace and development. We will do this by soliciting concrete commitments to enhance confidence building, security and political cooperation centered around Afghanistan. For, Mr. President, a peaceful, stable and prosperous Afghanistan is not only an Afghan need â€“ such an Afghanistan is an absolute precondition for peace, security and prosperity in the region. And in Bonn, we will brief the international community on our achievements over the past decade with a specific focus on transition, reconciliation, and regional cooperation. We will also share our vision for the ten years after transition on consolidating our stability, democracy and economic development. 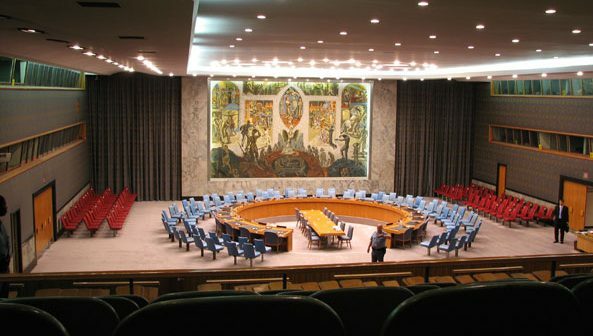 Above all, at Bonn, we will call upon the international community for continued assistance beyond 2014. Indeed, Afghanistan is already working with our friends and allies on mapping out our enduring partnerships, including the United States, the European Union and NATO. These partnerships will help guarantee our security, stability and future economic development. The United Nations has played a very important role in our achievements thus far, for which we remain grateful. On the way forward, this role must be adjusted to reinforce Afghan sovereignty. We welcome all efforts to ensure a more integrated, effective and one UN approach, and look forward to the joint, comprehensive review of UNAMAâ€™s mandate. In that connection, let me thank the Secretary General once again for authorizing this joint review. In conclusion, I thank all of Afghanistanâ€™s partners in the international community for standing beside us in solidarity as we strive to strengthen the foundations of peace, democracy and development we have laid down in Afghanistan. Over the past decade, we have come a long way in our joint efforts, something we can all be proud of. But we are still not completely out of the woods.Â We in Afghanistan are convinced that together with the support of the international community we will succeed in realizing our common vision of a peaceful, stable and democratic Afghanistan; a country that is self-reliant and a factor for regional and global peace and cooperation.